NATO and the Ukrainian Navy will conduct joint exercises. 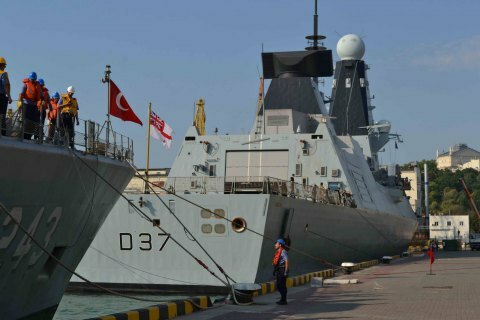 The ships of a permanent NATO naval group, the destroyer of the UK Royal Navy Duncan and the frigate of the Turkish Navy Yildirim arrived to the port of Odessa for joint exercises with the Ukrainian Navy, the press service of the Ukrainian Navy said in a Facebook release on Monday, 24 July. "The program of the ships' stay provides, in particular, joint exercises with the Ukrainian Navy to control the survivability of the ship and inspection operations," the report says. On 25 July afternoon the ships of the group will be open for visits by the residents and guests of the city. Upon the visit, the ships jointly with the Ukrainian Navy will conduct PASSEX-type training in the Black Sea.